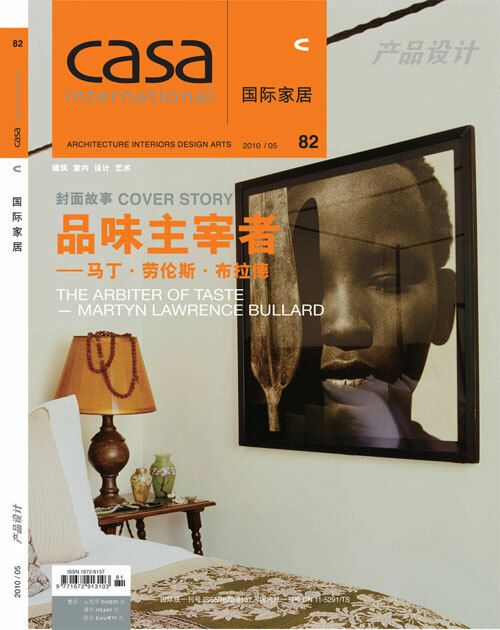 Casa International Magazine published an article on the Basking Ridge Home designed by Satomi Katz of YZDA based in Montclair NJ. Trueform Concrete created the custom concrete fireplace surround and a concrete countertop for the den. 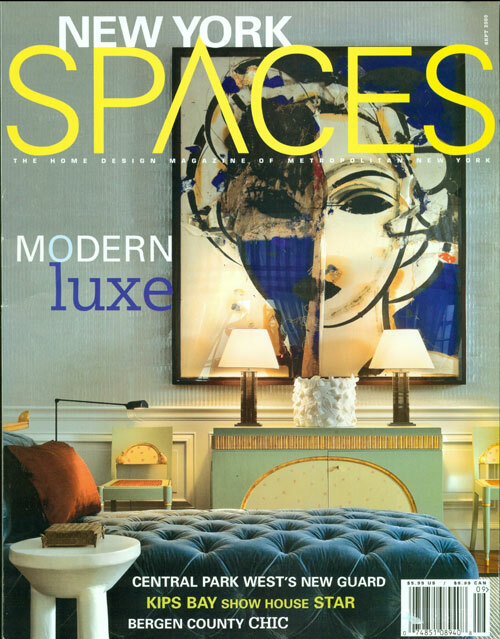 Park Place Magazine published an article on the Basking Ridge Home designed by Satomi Katz of YZDA based in Montclair NJ. Trueform Concrete created the custom concrete fireplace surround and a concrete countertop for the den. 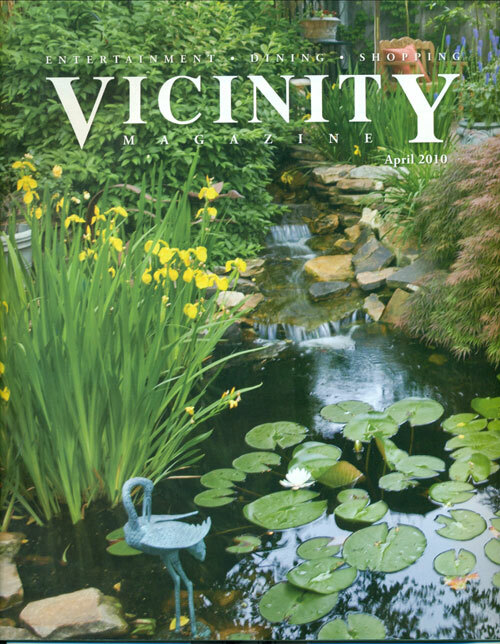 Trueform Concrete’s photo was selected for Vicinity Magazine’s article on landscaping trends and the increasing popularity of outdoor kitchens. 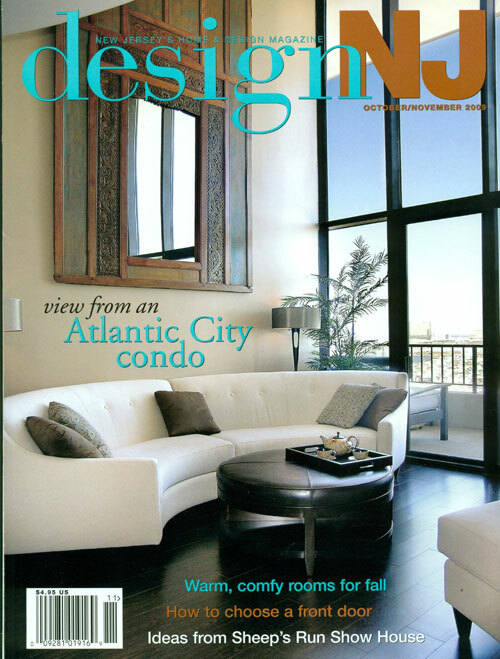 Design New Jersey Magazine ran a special section on custom concrete products for the home and chose Trueform Concrete’s fireplace surround made for a 6’ Spark fireplace in Wall, NJ. 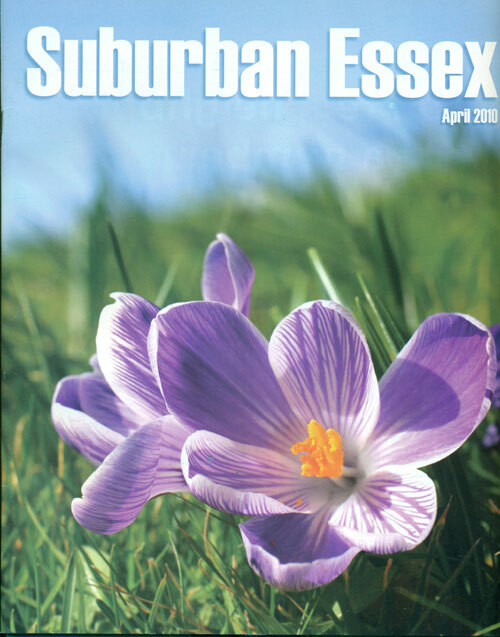 Trueform Concrete was honored to be selected by award winning designer Jim Dove of Canterbury Design to create a custom recycled glass table top and countertops with an integral sink for the flower room for the Sheep’s Run Show House in Rumson, NJ. For the Twin Maples Show House in Summit, NJ, Trueform Concrete was chosen to create a laundry room concrete countertop for interior designer Karla Trincanello, ASID, CID of Interior Decisions Inc., a concrete table top for a green bedroom for designer Jerri Eskow of Iron Gate Interiors, and a concrete tub surround and shelf in the main house bathroom for Spotlight Studio Design. 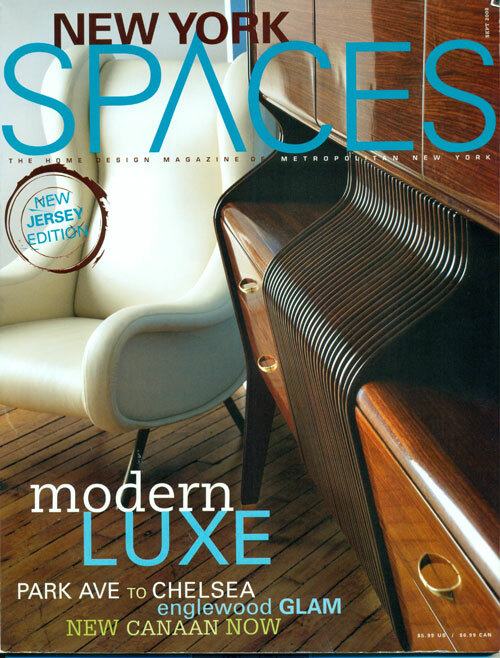 New York Spaces Magazine displayed Trueform Concrete’s stand alone half trough concrete sink with custom wood base. Trueform Concrete created a custom concrete fireplace surround for the Manhattan home of New York City designer Jayne Michaels of 2Michaels. 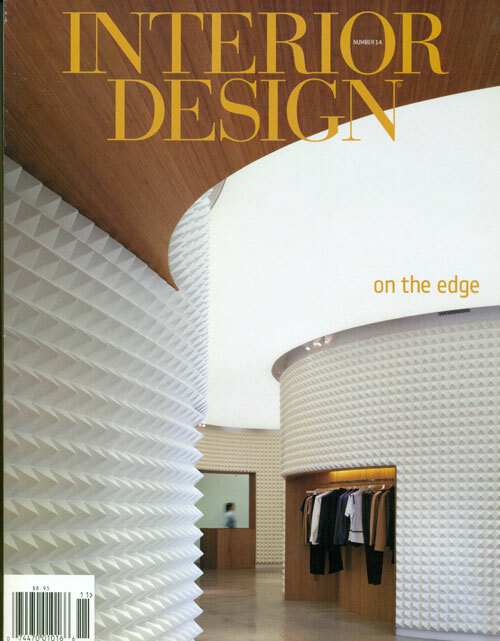 This project was featured in Interior Design Magazine. New York Spaces Magazine displayed Trueform Concrete’s custom 4’ oval trough sink with concrete drawer faces for this modern Montville, NJ bathroom. 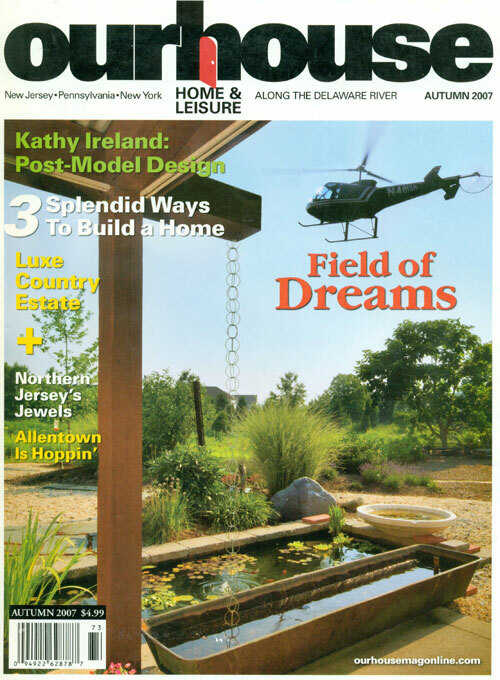 Our House Magazine ran a special feature on this Stroudsburg, PA home. Trueform Concrete created the Old World concrete kitchen countertops with custom metal inlays to compliment the design of the kitchen. 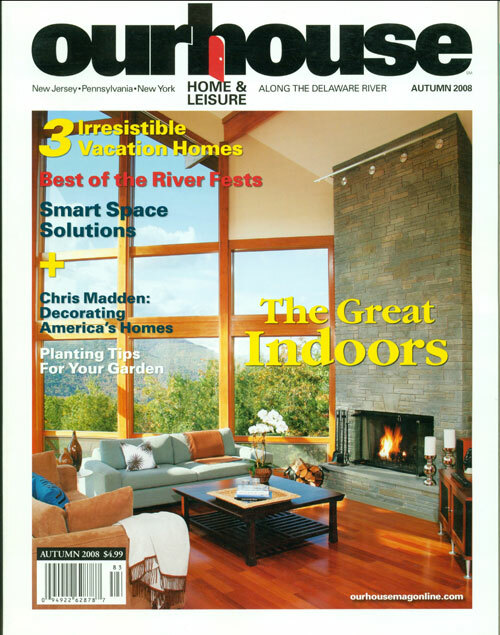 Our House Magazine selected Trueform Concrete in their article entitled Counter Proposals. The article shows an example of a concrete countertop with custom inlayed travertine tile, demonstrating one of the ways to customize concrete countertops. 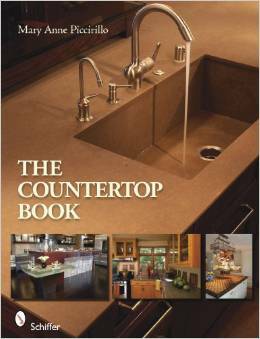 This book is your own personal showroom, where you will discover today's cutting-edge and most popular surfacing materials for countertops, including glass, concrete, ceramics, laminates, repurposed materials, stones, metals, and wood. 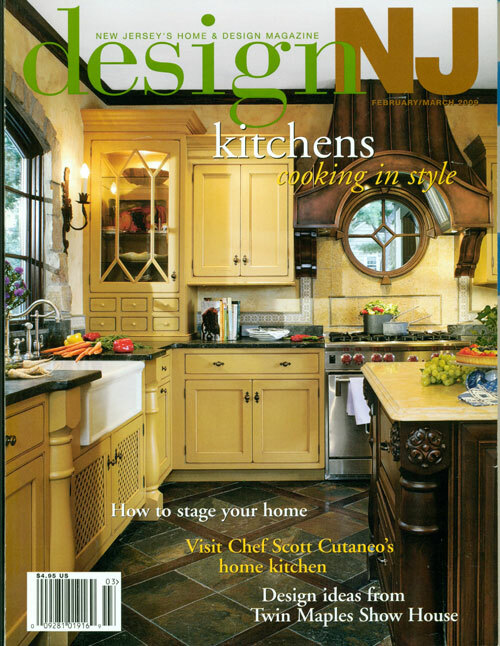 Over 390 beautiful color images display these materials in countertops that will fire your imagination. Discover innovative countertop features, such as optics embedded in concrete, backlighting semi-precious gemstones, unusual textures, and surprising glass colors. 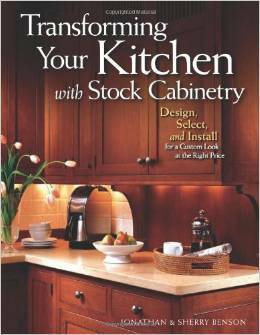 Transforming Your Kitchen with Stock Cabinetry: Design, Select, and Install for a Custom Look at the Right Price By Jonathan Benson, Sherry Benson. Have you been dreaming about a new kitchen, but the expense and amount of work keep putting that dream on the backburner? 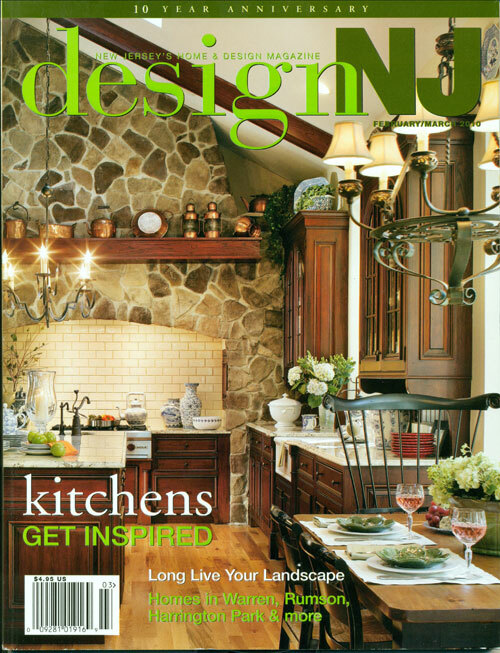 A kitchen remodeling project can be daunting and expensive, even for an experienced woodworker. Thanks to cabinet and furniture maker Jonathan Benson, you can transform your kitchen for less by using stock cabinetry and a well-thought-out plan. 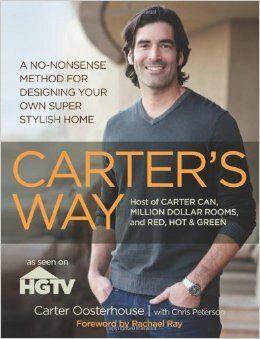 Carter Oosterhouse knows how real people live and how intimidating home design can be. 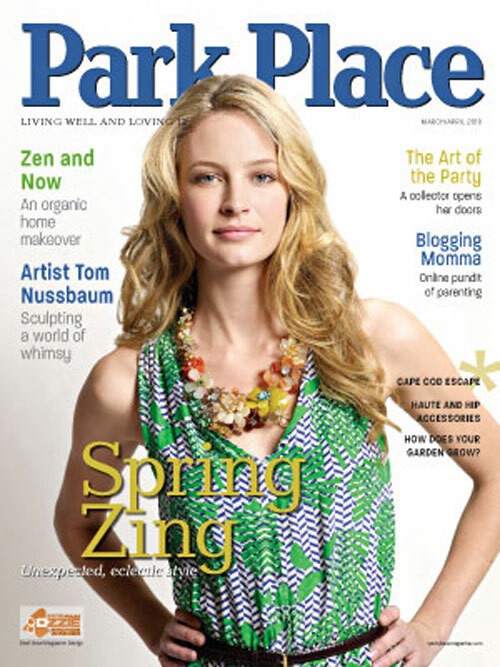 With his reassuring, “you can do it” attitude, he goes out of his way to show readers how to create realistic design elements that they can implement with basic tools and a little DIY experience.